Firstly, a big thanks to the author for sending across the book to me for review. To begin with, the first thing I loved about the book is the quality of pages, the appealing bright cover and the textbook kind of feel that brought in nostalgia with it. This book has majorly two halves, you may call it two-in-one. The first part is a narration of author's experiences, clubbed with his imagination and his love for nature. The second part comprises of poems. The first part gives life to birds, and makes them the characters of the respective stories. Each of them leaves a positive impression on you, some thoughts that linger for long. They are like self-help lessons. Above all, they are not just usual do's and don'ts or speech kind of self help chapters, but interactive and story-like. The protagonist, who is a city dweller, converses with various species of birds. They are actually like his friends. A variety of birds, pigeons, peacocks, owls, parrots, doves and many others were his characters. 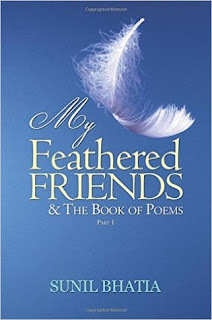 The book is aptly titled "My Feathered Friends..."
Initially, not everyone may be able to digest the idea of the book. During first few pages, you may not be able to cope up with the frequency and the overall motive. But gradually, you start living in the book and believe in the world the author is showcasing- fiction, fantasy, self-help and poetry. It shows the love of the author for birds and also, a different perspective altogether. Imagining birds to speak, narrate and give you life lessons is exemplary. The second part has a poetic delight, well thought over, nicely composed poems. The poems are simple, easy read and convey messages individually. The poems belong to various categories, and each of them is for someone. They highlight the problems in the world, in very simple yet creative manner. The author's way is very innovative, assuming the birds are conversing and being a part of his day-to-day life. I liked the first half of the book more than the poems. This is simply because, this style of narration and imagination is clearly distinct and rare. After reading the first part, I am awaiting part two of this book! I would recommend the book for all nature and poetry lovers. I rate it 3.5 on 5. Firstly thanks to the author for sending across the book for review. This book is a fiction based on a woman's life as evident from the amazing cover of the book. The cover of the book summarized pictorially exactly what the book is about. The title is also apt. I generally don't read erotica, so at first I was apprehensive if I must go with it or not. But the cover was enough to attract me towards it. I am fond of woman centric stories, and hence opted to read it. The book is of ~200 pages and hence, a breezy read. The flow of the story is straightforward, no confusions at all. Though, during initial few chapters I was suspecting it to be inspired from Indian movies. Gradually I realized it is much more than that. The plot is penned so bravely, boldly and intensely. This is highly uncommon for Indian authors. Being a woman author in India, and keeping the society and culture into consideration, it is in itself a bold step to write a book like this. The book revolves around the protagonist Renu, a simple home maker, who takes care of her kids and a nagging father-in-law single-handedly while her husband works in another town and is least bothered about the family. She, like other Indian women is bound in the web of her duties but deprived of her rights. She longs for love and affection, the desire of loving and being loved back. Her husband never realizes her worth. She doesn't get back from him what every married women needs. But bound under the rules of Indian society, she isn't allowed to look for alternates to fulfill her desires and to keep bearing her misfortune. The book is an encounter of her with other men in her life, and the fulfillment of her desires with them. The multiple facets of an Indian woman is indeed well depicted. Through the course of the story she finds love, hatred, betrayal and keeps bouncing between all these, angry and unsatisfied. (I won't give any spoilers here :) ). The story progresses on how she combats the destiny and emerges victorious. She chooses the unconventional, something that must be a motivation for other women too. This book is also a satire on the Indian society where people are fond of reading and watching erotica behind closed doors. But at the same time, are ashamed to know their women being involved in it. (Resisting spoiler again). Maya is a writer who writes erotica under pen name and is loved and appreciated by all, but it becomes a cause of shame if men find their women in Maya's place. The scenes are well narrated. Love making is quite descriptive. At times, you can actually imagine what is happening, and that is the quality of a well written fiction. The usage of words and sentences for the portrayal of emotions is appropriate. It is indeed a well revised and wisely edited work. However, at certain points you may feel that there is exaggeration of emotions, or redundancy of the same thoughts over and over. Overall the book is a well thought over, emotional roller coaster ride. 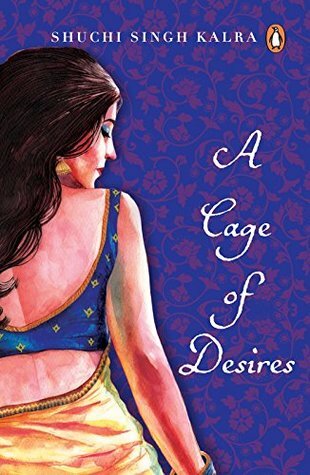 I would recommend the book for all those who are fond of women centric Indian fiction books. I rate it 3.5 on 5. 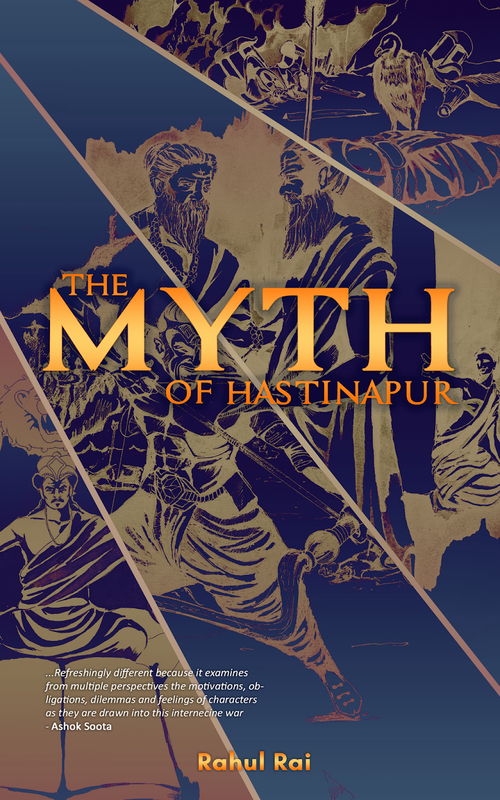 Rahul Rai, an IIT graduate has recently authored a book called The Myth of Hastinapur. The book is based on the greatest epic of all times, Mahabharata. The well articulated book is based on great research and depicts good story telling. We recently had an interview with him. Have a look at what we discussed. Also, visit here to read our review of his debut book. I am an IIT alumnus and after my graduation, I have been working as a data scientist for more than 10 years. My hometown is Lucknow where my parents live now while I am located out of Gurugram. My father is a retired civil servant while my mother is a housewife. 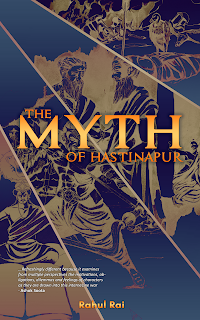 The Myth of Hastinapur is based on one of the greatest epic in the world, Mahabharata. It contains stories around different incidents which eventually culminated into war while the end chapters’ deal with guilt, remorse and reminiscences of few main actors in the war. Each of these stories can be read independently though they follow a sequential order to maintain the continuity of the tale. Since childhood, I have loved telling stories to people around me. I had a blog (now defunct) of my own where I used to share my stories with my near-ones. But I lacked discipline of writing a book. 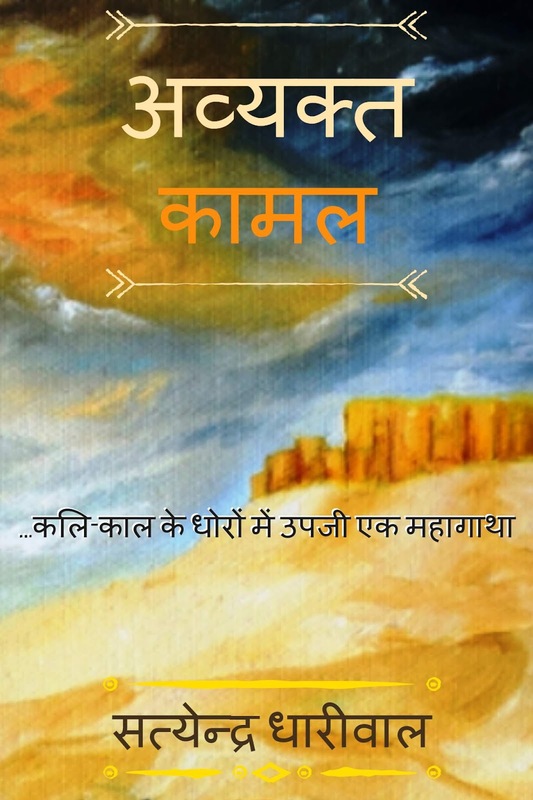 It was around 3-4 years ago that I decided to follow a more organised approach towards writing which helped me come up with The Myth of Hastinapur. I would like to keep on writing more in future so would like to classify myself as a writer by choice. I consider myself as a very picky learner. Even in my professional career, I don’t like things which are a black box about which I don’t have much knowledge. I try to decipher them till I am able to break their code. I was able to complete this book around October last year but I took a lot of time in understanding the publishing process. From editing, illustrations, book cover, ISBN assignment, online distribution etc., I found everything exciting considering they were quite novel to me. Needless to say, a lot of people helped me through the process. I liked your review which talked about how The Myth of Hastinapur seems to be edited well. I am highly indebted to Alka Ranjan for this. She painstakingly took up the task of editing which was not limited to just looking for grammatical errors and sentence correction, which in themselves are hugely demanding tasks, but also provided me with great ideas about the overall flow of the stories and suggestions to improve upon certain scenes. Like editing, each of the different processes were a learning experience for me and I enjoyed them all be it learning from Vikas’s thought process when he was sketching illustrations or co-ordinating with Abhilash when he was trying to create the cover of the book. Yes, I am. I really love reading fiction. Paul Auster, Vladimir Nabokov (you need a dictionary along with his books), Haruki Murakami are few of my favorites. The Book Thief, One flew over cuckoo’s nest, The Bridge on the river Kwai, Mrityunjai are few of my favorite books. It would be difficult to point to a particular favorite as there are so many but would like to talk about the ‘The Book Thief’. It is based on the 2nd world war and revolves around a German family. Very few protagonists come closer to the endearing portrayal of characters like in the book thief. This book in its pages brings to life each and every human emotion and I would recommend everyone to read it. Do you pursue any other profession apart from writing? How do you manage everything? Yes, I am a Data Scientist by profession. I think everyone tries to find time for their hobby which is writing in my case. I like writing. It helps me at many different levels and has definitely helped me to grow. So, it is not that difficult to find time for it. The Myth of Hastinapur was written when I was enjoying my holidays or when I was engaged at a client location or when I was travelling. I tried to find time for it whenever I was free from my other priorities. There is only one way (at least for me) to do it; to keep on writing. ‘Tears of Rudra’ was one of the stories with which I struggled. I think I spent almost 15-20 days thinking about how few of its last pages needed to pan out where each day started with writing a paragraph and ended with deleting it. And it was only after a fortnight that I started making some progress. So, as a writer, I think you should keep on pushing yourself to write good content. It took me almost a year to finish this book though few of the stories like ‘Yudhishthira’s Dilemma’, ‘Wrath of Draupadi’ took shape couple of years back. Writing is not always enjoyable even if you have written tonnes of stories, novels etc. It requires a lot of patience and self-motivation. Like any other activity which someone wants to get good at, writing requires one to give his undivided attention and remain focussed. Each step was a challenge considering it was a totally new venture for me. I followed a sequential approach to each of the steps (editing, cover design etc.) as I was a bit busy on personal front but it helped me gaining deeper understanding of the whole process. Considering the amount of time I have invested and the information and knowledge I have gained about the whole process, I think I am ready now to establish a publishing house J though I intend to remain a writer. My research is mostly internet based. But for The Myth of Hastinapur, I had my repository of knowledge ready about Mahabharata, Puranas, Ramayana which I had studied in my childhood. But internet helped me refresh my memory. Also, I tried to remain as close to the facts as possible. My whole idea was to while remaining closer to the incidents as written in Mahabharata to humanise the whole façade and make it more realistic with a belief that each one of us has the capacity to become Yudhishthira, Draupadi, Arjuna or even a Krishna. Needless to say, each one of us can become like Duryodhana or Shakuni as well and should remain aware of this fact. I am present on Facebook and made a recent profile on Goodreads. 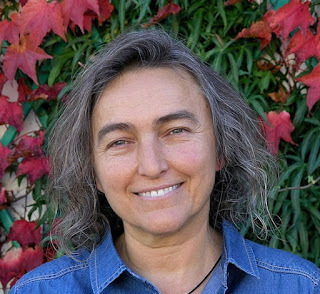 Grazia Gironella (Bologna, Italy, 1963) lives at the foot of the Eastern Alps, in Northern Italy. She loves nature, eastern cultures and martial arts, and is fond of written words, both as a reader and as a writer. In addition to Searching for Goran, to the present day she has published on the Italian market several short stories (Tarja dei lupi, Tabula Fati, 2008, plus about fifteen more on anthologies), and essays on writing (Per scrivere bisogna sporcarsi le mani, Eremon, 2011 – La via delle parole, Eremon, 2015). In her blog Scrivere Vivere (www.scriverevivere.blogspot.com) she shares with fellow authors and wannabes the joys and problems of writing. We recently interviewed her over email. Find below the excerpts of the same. I was born in 1963 in a quite traditional middle-class Italian family, with my father a law enforcement officer and my mother a housewife. As a shy, lonely child with few relatives, I didn’t enjoy the company of kids my own age in the first years of my life, so my attention was drawn to books, that became my friends. I attended a scientific high school, then an institute for interpreters and translators, since I loved languages. 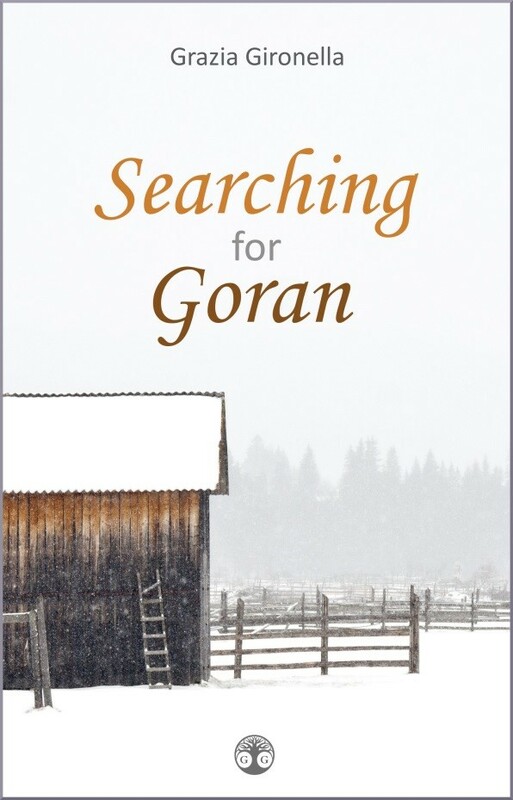 Searching for Goran is the story of man who is struck by amnesia after a car accident. Going back to his old life, he is faced with a reality he no longer recognizes, that includes a wife who is difficult to love and a two-faced business partner. Then visions start appearing, incomprehensible and devastating, belonging to another place and time and – above all – another man. Goran decides to find out what is happening to him and follows the clues in his visions of ice and struggle for survival across Europe, heading for Scandinavia; but he's not alone, because his past is not ready to let him go yet, for better or for worse. The first draft is the most exciting part. I like seeing the story take shape before my eyes, part on my own planning, part coming from who knows where. I’m also very patient and precise in the revising phase, which is really tough job, but is also rewarding in its own way. I suppose the least favorite part to me is feeling unable to write due to lack of ideas or incapacity to stay focused. I read three-four books at a time, choosing in accordance to my mood. This doesn’t mean I’m a fast reader, because I can devote to reading just a small part of my time, maybe one and a half hour a day. I read about thirty to forty books a year, not more. I love novels that have a fantastic side, but also any other genre, if it’s well written. I read plenty of nonfiction on different topics such as nature, spirituality, eastern cultures and writing. At present I’m reading a summarized version of the Mahabharata. I like biographies as well. I have many favorite books, but The Lord of the Rings is “the Book” to me. I read it when I was sixteen and fell in love with J.R.R. Tolkiens’s worldview and values. I still read it the novel now and then. Brandon Sanderson, Ursula Le Guin, Patrick Rothfuss, Diana Gabaldon… but the list is long and ever changing. I’ve been working as ground staff in an Italian airport for 25 years before I moved to a new town and decided to stop working. Now I have the privilege to devote my time to my family – my husband, my 21 year-old son and my dog Maya – and to writing. I also practice regularly raja yoga and taiji. I have my own desk in the very middle of the kitchen-living room area. Of course a room for me might be better, but I appreciate the company of my family while I work at a story. I’m usually able to stay focused even in the most horrible mess. On my desk I have screen and keyboard, paper for my notes, a jar full of colored pencils and a small tray that has become almost an altar to me, where I put all the small things I collect while walking in Nature, like flowers, stones, moss, wood pieces, feathers. Do I really? Well, sometimes I simply stop writing for a few weeks and try to get engaged in some other activity, just to wipe away the idea that I have to keep writing no matter what. If this doesn’t work… I ask heaven for ideas, and the right attitude toward a form of art I will never have the complete control of. I was looking for a story to tell, as usual. I had read something about amnesia and found it fascinating. What is life, seen through the eyes of a person with no past? Then came the second, thrilling question: what’s the worse that might happen to a person suffering from amnesia? To start remembering something, but realizing it’s part of someone else’s past. Then came a journey with my family across Europe, destination North Cape. In Finland I learned about the dire straits people had to face during the Great Famine in the 19th century. These two elements struck the spark. The novel was written in about one year, but it underwent a new revision after a couple of years. My writing phases are planning, writing and revising. To start writing I need to know who the characters are, what they want and what will happen in the story. I prefer not to devote months to a novel before realizing that I’ve come to a dead end! During the planning I’m not deciding the details, though; there’s always a great deal of surprise waiting on the way. After the first draft is finished, I let the manuscript rest a few weeks or months (the longer the better), then I start the revision, that is thorough and demanding, with plenty of readings and different kinds of adjustments that are dealt with separately. I think there are a few messages hidden in Searching for Goran: the awareness that to flourish as persons we need to know ourselves, and dig deep, even when what we find there makes us feel uneasy; the need to forgive in order to move on with our lives; the importance of resiliency, a gift that exists in each of us. Hopefully something of all this will stick to my readers and be useful in their lives, just as it’s been useful to me. Oh, there were plenty! In its first version, the novel was finalist at an important literary award in Italy and was therefore published as an e-book. After a couple of years, I kept wondering: “so what?”. There was no promotion on the publisher’s side, so the novel simply agonized. That’s why I got the rights back, I reviewed the novel once more, and self-published it on Amazon, in ebook and paperback, both in Italian and in English. I think this is the best possible way to offer my novel to the readers, in this specific situation. Searching for Goran includes both historical events and scientific data, so it was vital for me to make thorough research. You don’t want readers to come up with criticisms of that kind! For my researches I always use the internet, and possibly some expert who is so kind as to help me. With the social media now available it’s not so hard. The former version’s title was (translated from Italian) Two lives are enough. It was a good title, in my opinion, but I wanted a new title for the new novel, so I chose one that described Goran’s inner and outer journey, on my translator’s advice. Because the novel is a mystery, but there’s much more to it. Goran’s is a fascinating story, rich in emotion and – if I may say so – very well written. I’m not taking all the credit: Juliet Bates, the English native speaker who translated the novel, really made a good job. On my Italian blog Scrivere Vivere (http://scriverevivere.blogspot.com/) I deal with the many different aspects of a writer’s life. I suppose you and your readers should use the Google translator, which is not the best way to appreciate a blog, but I can assure you will be warmly welcome. Don’t be hasty and keep ambition at bay. I know stories are written to be read, but if you cannot love writing in itself, regardless of sold copies and of the publishers’/readers reactions, you’ll probably have a hard time with writing sooner or later. If you self-publish your works, just as I did, demand the best of yourself. Last, write! Planning, thinking, dreaming, talking about writing is not writing. The tinkling of bells of her anklets was audible much before she could reach the Father's office. Father Francis had been removing his glasses and keeping it at his desk after a tiresome day. While he was still rubbing his eyes, he sensed from a distance that little Shubhra is around. Even before turning back he guessed that it was her. "May I come in Father? ", said charming Shrubhra excitedly. Father Francis' office was a big room. His vintage desk was towards the right corner behind which were three many wooden cupboards with transparent doors, queued next to each other. Piles of documents and files were locked up in there. The desk was almost empty after his day of work that involved calculation of funds for the orphanage, records of new children joining them, grocery, stationery, staff records etc. The other corner of the room had a piano, playing which was his favorite past time along with a rocking chair. "Yes, my child. What is bothering you? ", smiled and said Father Francis. "Father, what is the meaning of my name? Everyone in the class kept asking today? ", She uttered heftily. Father laughed, "why is that so urgent, dear. I will answer this some other day? I am tired." "But you said you will answer all our questions any time we ask." Shubhra looked down and replied sadly. While she was about to return, Father Francis walked towards her, stopped her, held her little hand and carefully sat her on the rocking chair. "Shrubra means white, my child" replied father politely. The corridors were quiet and unruffled at this time. It was the time when children would have finished their "Thank you God" prayer and retired to slumber. Only a few lights in the corridor were lit up. The ticking of the giant clock in Father Francis' office was clearly audible. After a pause, Shubhra continued, "What is white? Something yummy, or something that smelled good, or something as soft as the Christmas cake, or beautiful music like that of your piano." Her brows rising up and down while she asked excitedly. Father hesitantly answered "That's.... that's a color. White is amongst various colors that paint this universe. It is the most pious of them. White is..."
He abruptly stopped and stood worried about her subsequent question. "What is a color? 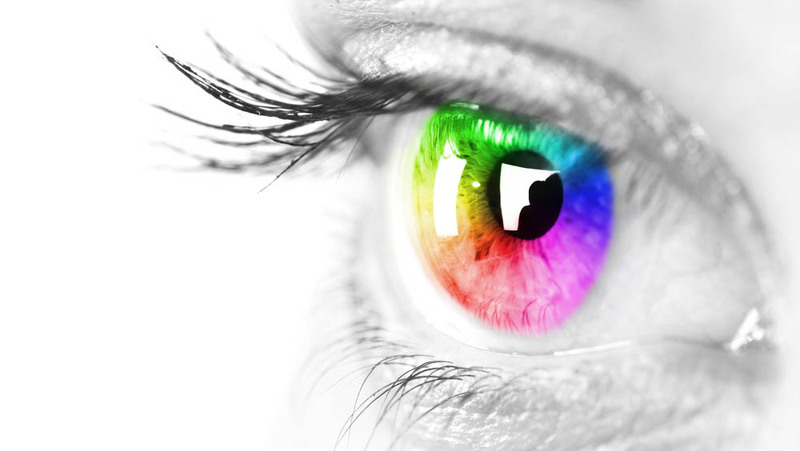 I know alphabets, words, sentences,... flowers, fragrance, countries... oceans, trees but.... not colors. Did Sister Rosy forget to teach that to our class?" She uttered without a pause, emphasized on all the related topics she learnt in her current grade. The six year old Shubhra who was blind since birth and an orphan since she was 3 days old. She was a dear child at the St. Mary's Orphanage. She was found at the gate of the orphanage in white clothes and her face was fair as a ball of cotton. Hence, one of the caretakers, fondly called as Shanti Maa, named her Shubhra. "There is no escape", thought Father. "Well, I will explain to you what are colors. But promise me you won't ask further. ", dictated Francis. "Okay Father", the curious lad smiled. "And my child, before I bid you good night, remember that the world is full of colors, and I have shown them to you with my eyes. Never be upset of not being able to see. Smile, because you are born, you are loved and your senses are stronger than those with eyes." 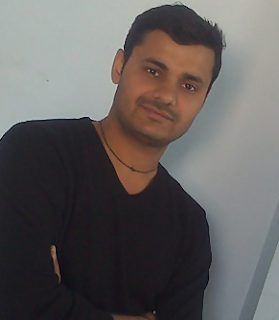 Satyendra Dhariwal is an author who lives only for writing. He was born in a remote village of Rajasthan and loves to write on vivid subjects. His way of storytelling is something from which you can't escape. His stories clutch your mind right from the beginning and don't leave you even after finishing the read. Other than enthralling and enchanting the readers, his tales give ample amount of food to their brains in order to grow them beyond limits. Along with writing novels, he also loves to write poetry. His novels are always comprehensive to the 'core of the ocean. '...and what can be told about a person in a short biography. He just wants to remain a writer and serve you till life. But in order to fulfill that you need to buy his books more and more. We interviewed him after his new book "The Involute Dunes" (English) / अव्यक्त कामल (Hindi) was released last month. Here are a few excerpts. I belong from a remote village (near Pilani) of Rajasthan. Now, education!! This is where people think I am joking whenever I answer this. Well, I have studied till 12th (10+2). It was not that I did not want to study further, it was a play of fate; I lost my father just after my schooling. And now I have my mother, wife and a younger sister in my family. This book is epic, seriously an epic desert saga born in the age of Kali. I don’t have enough space here to tell the comprehensiveness of this book. It is not about one or few things, it is about everything. 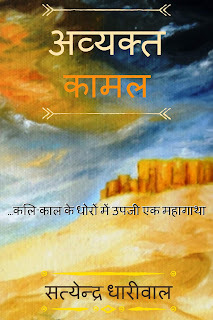 By keeping this in mind, let me give the overview of the book (which again is not sufficient to capture the essence of the saga) – “There were the tales of legends sailing in the air of Jaisalmer, legends of the forgotten warriors, rulers, of people; of the forgotten empires; legends of the forgotten beauty until this volume. We have read many epic volumes from the previous ages but here is the epic saga of the age of Kali filled with abstruseness of the desert land. We are in the eleventh century and India is called ‘The Golden Bird.’ Islām is a newly born religion and is spreading its pinions with rapid velocity. These are the times when Indian rulers are fighting amongst each other. So does the Jaisalmer and Mārwār. But there is another huge nation which is eying upon India. The ruler of that place wants to reign over India. He wants to make Jaisalmer his Centre because Jaisalmer lies on the famous ‘World Silk Trade Route’ and is the connecting link between the Western and Indian trade. This is the tale of two generations. The tale of magnificent desert land and golden city. The tale of a huge empire and two little Kingdoms. Tale of bravery, politics, friendship, lust, the tale of war, tale of love & hatred, of faith & deception, tale of importance and futility, of establishment and ruination; and overall, the tale of Salvation. I am a writer certainly by choice. I want to reach my books out to the whole humanity. I was an avid reader since my childhood (now I don’t read much). I read everything with interest, no matter what the subject matter, topic, genre, category of the printed material was. I wrote in school too but only when provoked. But the real turn came when I heard the story of a mythological movie and thought that I can write better. I began to saunter in the verandah of my house and within half an hour I cooked up a story, a novella rather. That was the beginning. I was, and I used to read whatever I got my hands on. There was nothing for which I can say that I liked that kind more. Now, I don’t read much. But my taste is not bound to any particular thing. Favorites change with time and circumstances. But there is one book for which I had thought, alas! if only I would have written that book. And that book was ‘Madhushālā’ by Harivansh Rai Bachchan. I have read Munshi Premchand more than anyone else. I don’t do anything except writing. So there is no scope of managing. But, when I start writing I go into a kind of shell, into solitude, so that I can immerse into the world completely that I am creating. My writing space is a plastic chair, sometimes my bed, sometimes it may be under a tree, it can be a open roof; sometimes I bolt myself inside a room for hours. I think almost all writers overcome this phenomenon by themselves, naturally, with time. I can’t say if it is writer’s block but I feel fear whenever I finish writing a book that I have completed this now, now what next? Would I be able to write one more or not? This is the only thing I fear. Else, I am never short of creativity whenever alone. The hardest part is to finalize the topic, the theme on which I will write. Once it is finalized, then I make a rough outline and just that. I don’t make plots, details etc. before writing. Most fun part of my writing is that even I don’t know what will follow in my story; and what twist & turn it will take ahead. It flows, just flows as if I am telling and story to myself; or I can also say as if someone is telling me and I am writing smoothly. This book is set in (imaginary) Jaisalmer, and I feel that I have some special connection with this desert land. I see a different kind of beauty in that desolate land. Apart from that I wanted to convey something to people, wanted to tell the things which are lost. I wanted to give ample amount of food to the brains of people in order to make them grow to understand ‘All That Is.’ And I think that God has helped me to convey that through this mesmerizing tale of Timeless people and Places. It took me 10 months to complete the first draft. But as a whole process it took me two years to complete this in both the Languages. My whole life is a research and I have put a large part of that in this book. There is no such story, but it took freaking four months before I finalized the Title (The Involute Dunes) of this book. Jaisalmer and 11th century, isn’t it enough. 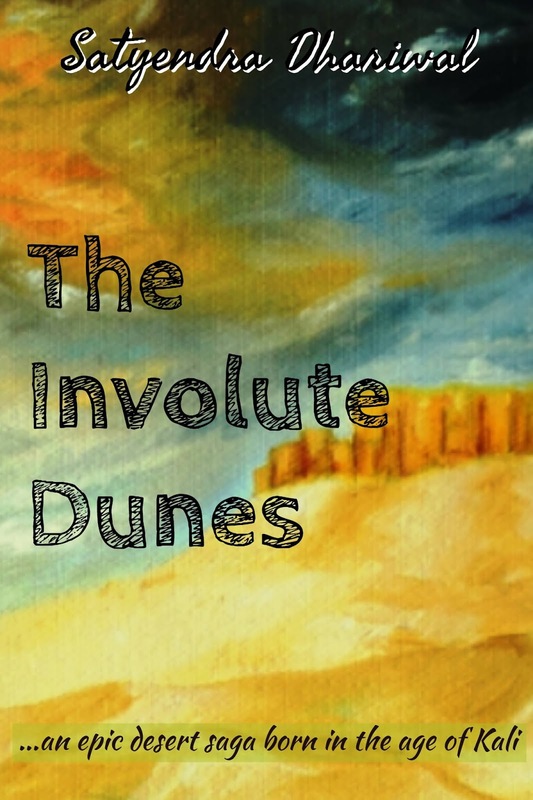 I don’t want t give any spoilers, it is available for just ₹ 39 on my website (involutedunes.com), just go, get in, and dive in to experience the Involute Dunes, believe me it will come out to be a saga you have never read before. A world of dunes containing the beauty of desolation and a story never heard before. Yes, involutedunes.com. Please visit. You will get my previous novel for FREE there; and you can buy The Involute Dunes at dirt cheap price there. Still not sure, okay, you can download the FIRST FIVE Chapters completely FREE from there and then decide whether to buy it or not. No matter what you get in response, no matter whether you get published or not, never ever stop writing. It is for yourself, not for others. It will make you, the true you. It will keep you alive, keep you evolving. Please keep writing, no matter what. Writing is bliss in disguise.